Utah is truly nature&apos;s playground—and Salt Lake is the perfect base camp.Enjoy hiking and biking in local canyons just minutes from the city center or in nearby national parks. Explore lush forests on horseback or journey aloft in a hot-air balloon. Sit back and enjoy an aerial tour of nearby canyons or North America&apos;s saltiest lake. Or, stay in town for a round of golf. 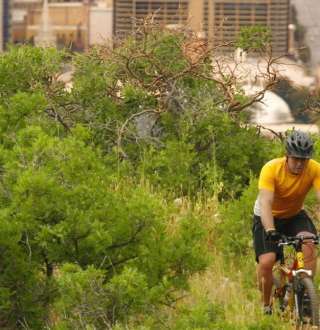 Be part of the action in Salt Lake with the variety of adventure sports available here. Winter activities range from snowmobiling to snowshoeing and, of course, include skiing and snowboarding at nearby ski resorts. You&apos;ll find year-round adventure on river & outdoor expeditions, by staying at a guest ranch, or with guided fishing & wildlife experiences. If you want something a little more low-key, check out Salt Lake&apos;s birdwatching areas — alpine mountains, arid desert, and the Great Salt Lake provide a variety of habitats and birds to see. Add recreation to your trip for little or no cost by visiting Salt Lake&apos;s recreation centers or free admission recreation options. And if you&apos;re here with the whole family, Salt Lake has options just for kids that will have the whole family excited. Don&apos;t worry about lugging all your gear from home, equipment rental shops in Salt Lake provide a variety of gear for both summer and winter adventures.